To ask K.J. Lewis questions, please sign up. I just finished Sunday Love and well, I loved it. I was so happy to see Emme, Graham and company make an appearance. You are my favorite author right now. At the risk of sounding greedy and ungrateful for your latest book, what are you working on now? I am working on a couple of things. Right now I am about half way through Blake's story from Sunday Love and I have three more outlines that are complete and ready to go! I wish I could write as fast as I can think! 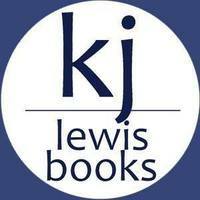 If you are on facebook, make sure to join my reader's group KJ Lew's Crew. There's a couple of free reads in there about these characters that you would probably love . K.J. Lewis I am currently working on my third book which I am currently calling Reid until I have a working title.
" Finn's story is coming soon! " "I absolutely adored this book. It's a m/m romance and a steamy one at that! Two smoking hot alpha males who are just trying to figure out how to maneuver through the feelings they have for one another.